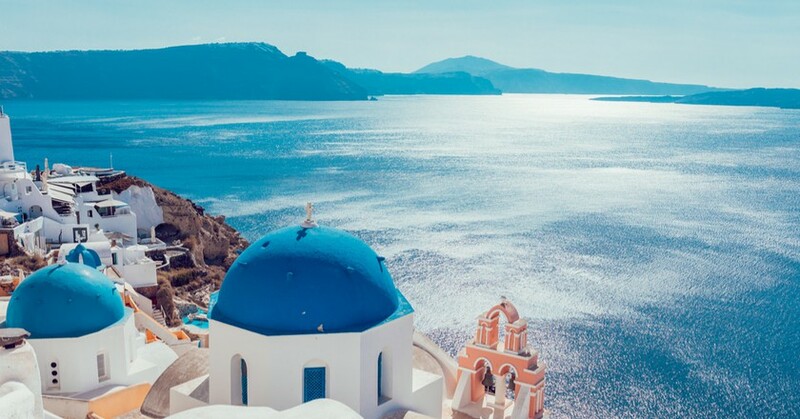 If you are dreaming about getting away to Europe but not interested in spending much, then Greece might be one of the best options. Painted in blue, the endless coastline of Greece is ever welcoming. Leaving affordability aside, Greece is also a great place to experience the culture, food, history, and architecture. A destination this diverse is difficult to be experienced in a single itinerary which is why we are recommending you with theme-based vacation options. Over the years, Indians have always opted for the classic itinerary and this article will be a detailed account of how to best use this to make your vacation memorable. 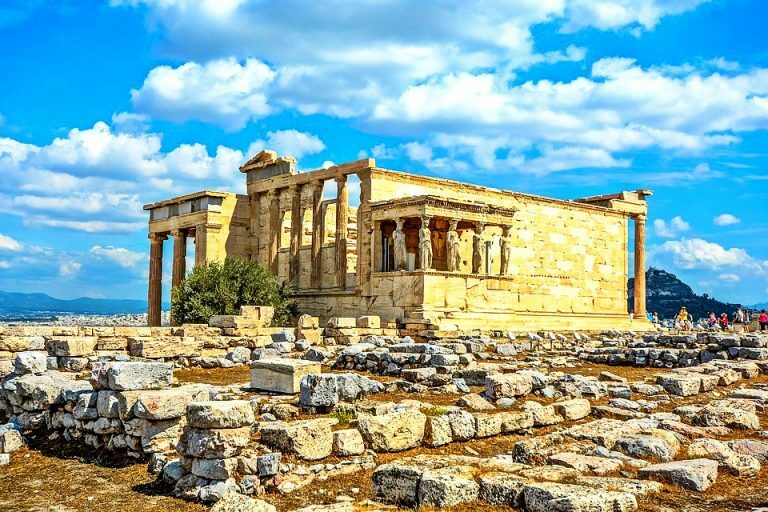 If you are a history buff looking forward to learning about the Greek civilization and the enthralling history of the monuments, this walking tour is the best way to start your vacation. At the heart of Athens is the central square of Syntagma. Regarded as one of the popular squares in Greece, Syntagma is a meeting point of history, politics, and commercial trade. Have a steaming cup of coffee and indulge in people watching. This is the starting point of your walking tour. The three-storied neo-classical building of Greek Parliament overlooking the Syntagma Square is one of the prominent structures in Greece. Hard to miss, Greek Parliament makes for a great backdrop for photographs. Dedicated to Greek soldiers killed during the war, Tomb of the unknown soldier is a war memorial in Athens. Every week on Sunday, the changing of the guard takes place and the sight is just remarkable. National Gardens is a public park in Athens featuring dense plants from different parts of the world. Take a stroll along the green oasis in the morning and stay energetic throughout the day. In the National Garden of Athens is the neo-classical splendour of Zappeion Congress Hall. Used for multiple purposes – exhibitions & conferences, Zappeion Congress Hall looks impressive with intricately decorated ceiling & columned atrium. Temple of Olympian Zeus is one of the marvellous structures in Greece. Originally comprising 104 colossal columns, the temple only has 16 of them intact now. The sheer size of the columns in the midst of a modern city is fascinating. Dedicated to Roman Emperor Hadrian, Arch of Hadrian is an intriguing monument breathing classical architecture. Standing in one of the busiest avenues in Athens, Arch of Hadrian separates ancient Athens from the new city and is a great spot for clicking photos. Interested in soaking up the aura of the prehistoric times, then Plaka is your go-to destination. Characterized by narrow alleyways, Byzantine churches, and neo-classical architecture, a stroll across Plaka will take you back in time. The neighbourhood has a plethora of restaurants and cafes to grab a bite. Perched over the landscape of Athens, Acropolis is one of the landmark monuments in Athens. There’s so much history on offer here that you might need a whole notebook to write about it. A universal symbol, the ancient ruins of the Acropolis best reflects Greek civilization and will take you back in time. The walkway of Dionyssiou Areopagitou leading to the monument is equally amazing. Admire the caryatids of the Temple of Athena Nike, click a quick snap standing next to the magnificent Propylaea Gateway, and bask in the brilliance of Parthenon. There is a fixated view of Greece being it popular only in the circle of history buffs. The truth is that there are a lot of other things Greece is famous for. One such thing is the intriguing Greek food. Drawing inspiration from the Mediterranean cuisine, the cuisine in Greece showcases the best of land and sea. Try your hands at the delectable Greek cuisine in this cooking class. 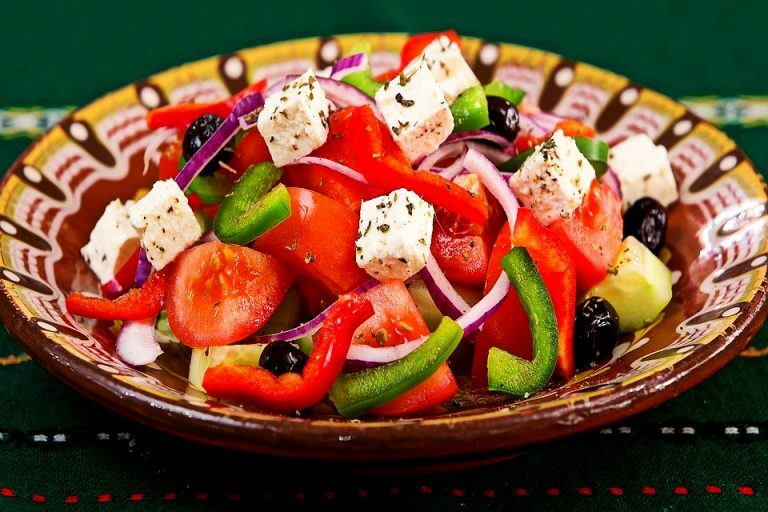 Held inside a local eatery in the Monastiraki district, the class starts with a glass of raki (distilled Greek spirit), followed by the preparation of Greek specialities – Tzatziki, Greek Salad, Melitzanopita, and Roasted Lamb. Interact with the fellow participants, have a fun time, and do pick up your complimentary copy of the cookbook. 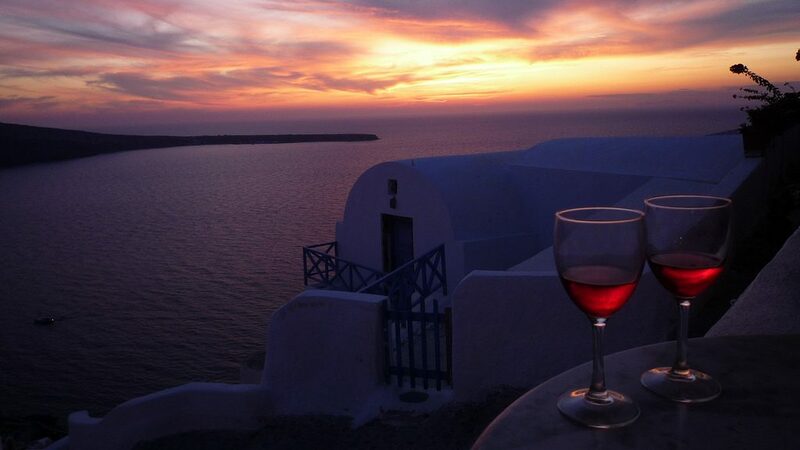 Check out from your hotel and hop on the ferry to Santorini. Set sails on a boat to discover the amazing islands near the Port of Athinios. Your first stop is the lava island of Nea Kameni. An active volcano, the island is uninhabited and is only visited by tourists during the summer. Hike your way to the top of the crater for unparalleled views of Santorini. Your next stop is the lava island of Palea Kameni. Dive in the green hot springs or just lay back and soak in the views. Following Palea Kameni, the boat then takes off to the island of Thirassia. Once a part of Santorini, Thirassia is unadulterated and the natural terrain will seduce you into spending long hours. Plunge into the waters, dine by the sea, or go on a self-exploration journey to the village settlement of Manolas. On your way back to the Port of Athinios, you will come in face with one of the mesmerizing sunsets you have ever seen. In the morning, you will be driven to the wonderful site of Prophet Elias Monastery. Sitting on top of the highest peak of Santorini, you will be presented with breathtaking views of the Santorini Caldera. Bring in your cameras on this tour and click countless photos of the destination. On your way out, do stop by the gift shop and grab few products like olive oil and sun-dried tomatoes. Walk around the charming, traditional village of Megalochori. Adorned with bright bougainvillaea archways, contrastingly coloured houses, white churches, and vineyards, the stroll along the narrow streets of the village is relaxing. What’s more relaxing than this is the black-sand beach of Perivolos. Lively with resorts, cafes, and bars, Perivolos is a great place to spend time at. Get tanned under the sun, go for a swim, and stop by at one of the tavernas for a quick bite. In the afternoon, explore the wineries in the neighbourhood and taste the sweet Vin Santo wine made from dried grapes, red & white roses. The delicacy is a must-try in Greece. End your day by looking around at one of the oldest excavations of Akrotiri, admire the beautifully preserved frescoes, murals, and the intriguing wall paintings. The historical site is a magical escapade. Hop on the boat and go on a trip to Mykonos. There’s enough of the civilization and the history already in your head, so it is now party time! The best place to party in Mykonos is at the Super Paradise beach. There’s so much drinking, dancing, and loud music at Super Paradise beach that you will leave all your troubles behind and go yaay! Too lazy to walk around the beach? Hire an ATV. Had enough sleep after the party and ready for another day of adventure? Today you will cruise on a yacht to the islands of Rhenia and Delos. Sunbathe on the yacht while you listen to the interesting stories leading up to the island. You will also learn how to steer the yacht, raise & trim the sails. Don’t have anything to do? Look around and you will immediately fall in love with the breathtaking scenery. On reaching Rhenia, jump into the water and start swimming or snorkel around the golden sands. For lunch, there is pasta with drinks. 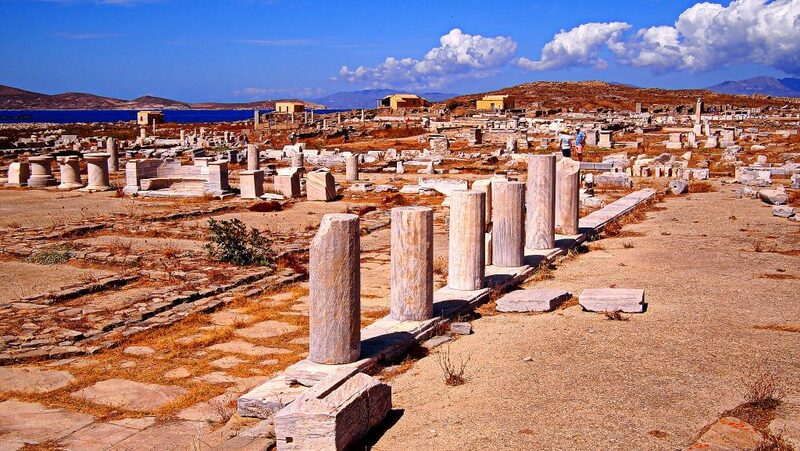 In total contrast is the archaeological site of Delos. The birthplace of Apollo and Artemis according to Mythology, Delos carries a unique magnificence and it is a hidden gem of an attraction in Greece. Hike around the site spotting monuments along the way and enjoy the views all along. In the evening, the yacht takes you back to Mykonos. Ride on the ferry to Athens. Take the flight back to India.